Donald Glover didn’t just spend the last several months giving TV one of its most insightful and hilarious new shows in years. It seems he was also plugging away on a new Childish Gambino album. 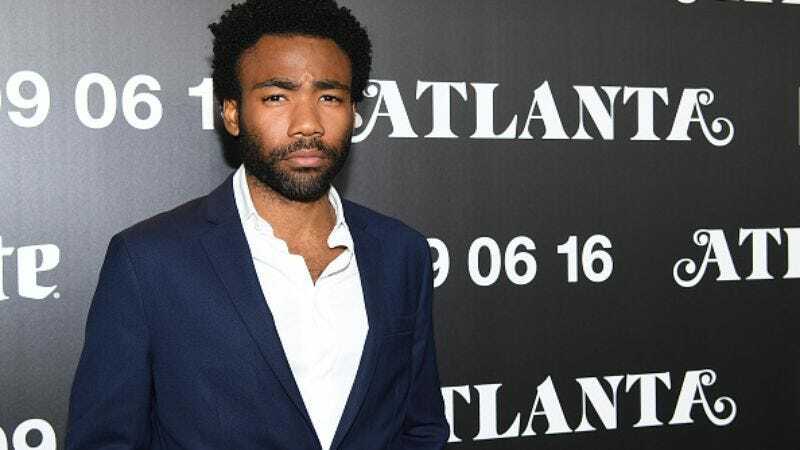 With the dreamy Atlanta on hiatus—don’t worry, it’s already been renewed—Glover/Gambino is teasing the release of his follow-up to 2013’s Because The Internet. The multi-hyphenate performer tweeted the artwork for Awaken, My Love last night. If that striking portrait looks kind of familiar, it’s because it appeared in the Atlanta episode “Juneteenth,” which saw Glover’s Earn trying to help Van (Zazie Beetz) get in good with her bougie friend. Some rumors have Awaken, My Love dropping December 2, but there’s no word out of Gambino’s camp. Maybe that’s because Glover’s trying on capes for his new gig as a young Lando Calrissian.